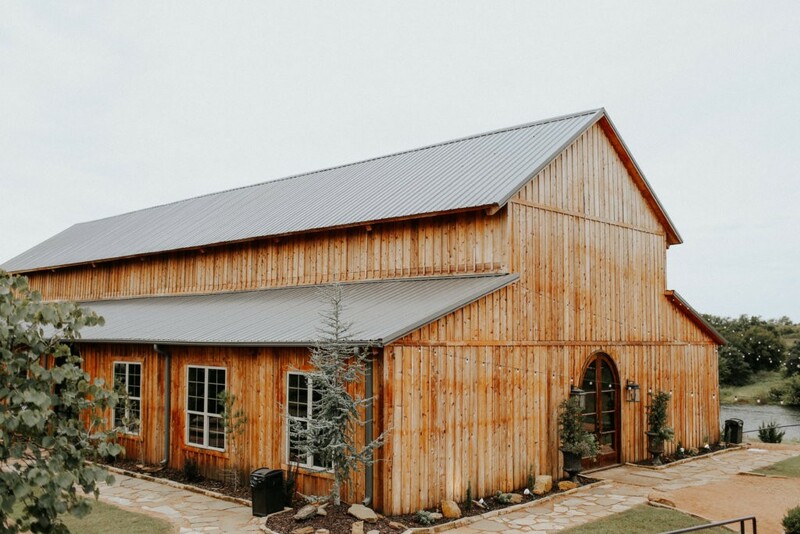 We can’t stop thinking about this dreamy natural rustic June wedding at Rosemary Ridge! Organic greens and ivory florals surrounding Ally and Nick created the most serene, picturesque atmosphere for their breathtaking summer soiree. Take a look at their gallery captured beautifully by Holly Gannett Photography below! From the bride: “Nick’s family is originally from Enid (my hometown). I grew up with his dad’s side of the family but had never met him until I was home from college at Christmas, and his Aunt Val said, ‘You have to meet my nephew!’ So she ganged back up with her daughters, my mom and Nick’s sister, Kelsi, and made us meet. We are pretty thankful for that! Nick purchased my ring over the phone after my sister, Emily, picked it out at our family jeweler. I went to visit him after I got out of class for Christmas break, and he took me to Klyde Warren Park in downtown Dallas and proposed by the huge Christmas tree. Our wedding day was perfect besides the major heat! My favorite moments were spending time with my closest girlfriends and my sisters – we cried a lot and laughed a lot! Having a first look with my Dad is a moment I will never forget and one that will always be special to me. My sisters and mom ran the show. They had every detail planned out (I am a terrible planner). The day would not have been the same without them. They have the biggest servant hearts!